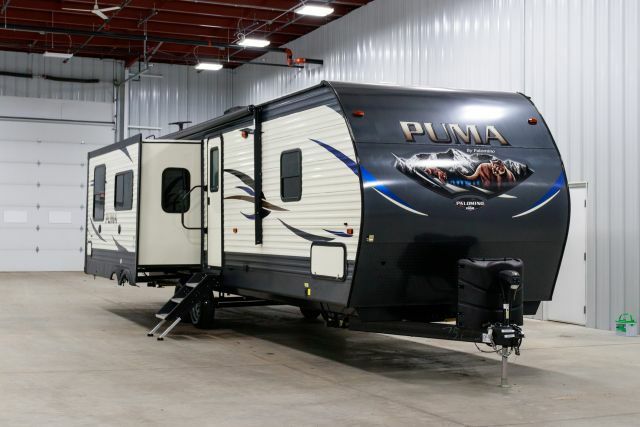 This Palomino Puma 31RKSS is a great choice for your new RV. This 35' 7" Travel Trailer has 2 slide outs and can sleep 6 people. It has a 57 gallon fresh water tank, a 70 gallon gray water tank, and a 32 gallon black water tank. It is 11' 1" ft 1 inches tall and 8 ft 0 inches wide. The hitch weight is 825 lbs., ship weight is 8132 lbs., and the GVWR is 9625 lbs. TerryTown RV has the largest inventory of RVs and sells them at unbeatable, rock-bottom prices. Our financing department can help you find an RV that fits your budget and needs. Don't see one in our inventory that checks all your boxes? Use our Custom Build tool to customize your very own model. It's quick and easy! 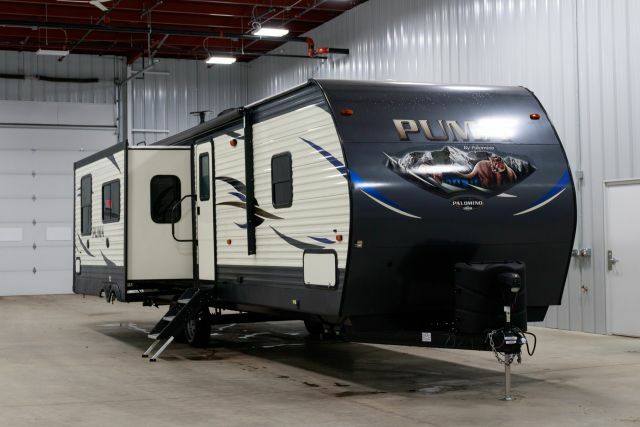 We're also proud to offer our customers door-to-door delivery of your new RV, like this Puma 31RKSS. Whether you live 2 states away or in another country, our trusted and insured delivery service will bring your RV to you. Trust TerryTown RV to be your #1 RV dealer! 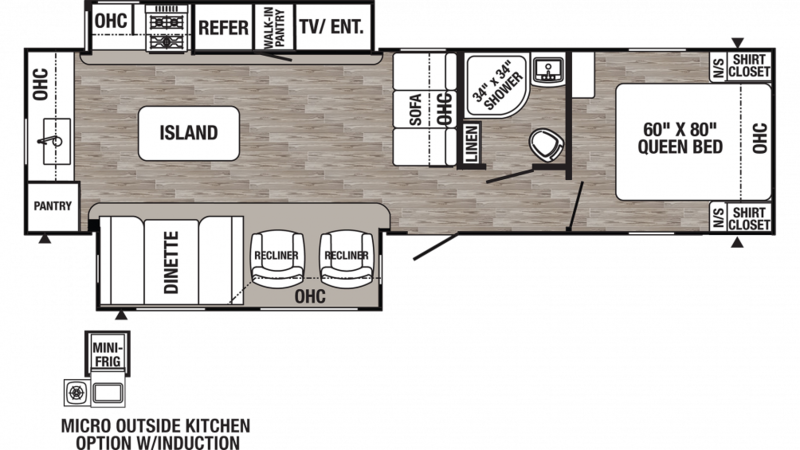 Come see us today or visit us online to learn more about this Puma 31RKSS Travel Trailer. You'll be glad you did!